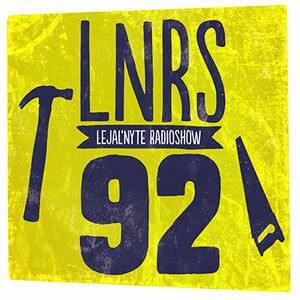 Lejal’Nyte radioshow LNRS092 was live on air @ http://www.sub.fm 16.02.2013 @ 9AM UK time @ 11AM EE time with very special guestmix made by Leiner! Fresh music from artists like CRST & The Organ Grinder, Disclosure, Pev & Kowton, Bonobo, James Mason, Short Stories, Koloah & Pixelord and others. This entry was posted in dj-set and tagged leiner, lejal'nyte, sub.fm. Bookmark the permalink.